There is nothing wrong with looking for new ways to earn money. If you have certain skills, then you should put them to use for your benefit. Maybe a lot of people are in need of someone with your skills, and even if there are plenty of people with your skills in the world, if the industry has a lot of demand, you could be a good addition to it. But entering a new market can be a bit risky. Not knowing all the factors can be scary and it almost scares off some people for good. If you want to join a new field or put one of your skills to use then first, you should research that field thoroughly. Swedish is the official language of Sweden. Out of the 9.9 million people of Sweden, 9.2 million speak Swedish as their mother tongue. And everyone in Sweden speaks the language. Swedish is also spoken in Finland and is officially recognized there as one of the official languages. Swedish is one of the North Germanic languages and is mutually intelligible with Danish and Norwegian. These three Scandinavian languages are very close to each other, but the understanding of Danish and Norwegian by Swedish people depend on different dialects and the accent of the person speaking either of those languages. The Scandinavian countries also have similarities in culture, and those features of their cultures have also affected their languages over the years. Swedish translation can be a bit difficult for even the people of Norway and Denmark because although the languages are mutually intelligible, it is hard for the speaker of one language to read the other two languages. 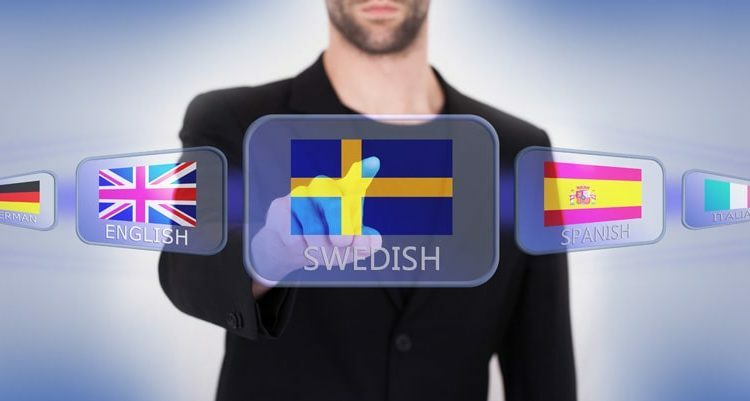 Swedish translation can be handled accurately by native Swedish speakers who understand the cultural aspect of their language and can translate it accordingly. Should I Become a Swedish Translator? If you are a Swede and wondering if you should utilize your language skills to earn money, then you should go for it. Swedish translators are in demand because Sweden is a good country for business and the overall success of the country attracts startups, students, and even tourists. All of these people will require Swedish translation for different purposes, and if you are a Swedish translator, you can help them and help yourself too by earning money. Since there are plenty of Swedish speakers in Sweden and many of them can handle Swedish translations, you must be wondering if a Swedish translator is paid well. The answer to this question will depend on the translation agency that a Swedish translator is associated with. If a Swedish translator is working as a freelancer, then they will require a long time to gain regular clients. Making your name in an industry such as translation can be difficult. You will also have to search for work every day. But if you get associated with a good translation agency like the NordicTrans, you will not only get work regularly but also paid well. So if a Swedish translator gets associated with a good translation agency, they will be paid well.